In recent years, the political winds of promised change have blown in and out of Vermont like a nor’easter. 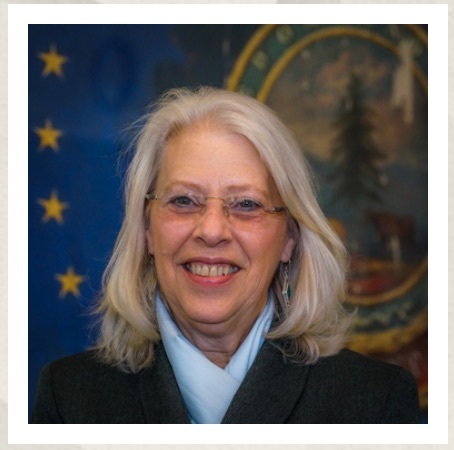 But as the dust has settled, we seem to be falling short, in some important areas, of the open, pragmatic, good governing Vermont that we all know and love. Recent issuances from Vermont’s government have overridden fiduciary responsibility and due process in favor of special interest campaigns and political gestures. For instance, in 2010 the Senate led by then-Senate Pro Tem Peter Shumlin prevented the Vermont Public Service Board from ruling on Vermont Yankee's application to continue to operate. We three, along with then-Senator Phil Scott, alone voted to let the PSB rule. Then as now, we believed in the importance of due process. It is ironic, to say the least, that Gov. Shumlin is now invoking carbon reduction as a reason for short-cutting the due process of our pension fund investment system. For 42 years Vermont Yankee was an instate goldmine of very low-carbon electricity. We, along with Sen. Scott, also lamented the loss of more than 600 well-paying jobs, the ripple effect of that loss on the Windham County economy, and millions of dollars in local and state tax revenue. footprint, as Vermont uses more fossil fuels for energy generation. State government officials at the time called the loss of high paying jobs and expanded tax base “hard news,” as if nothing could have been done to prevent the closure and its consequences. But this was just one of the many conscious steps taken away from Vermont’s history of good governance. Today some in state government seem too willing to do an end run around legislatively-required due process, to the detriment of the prosperity and quality of life of our people. While the proposal might have the semblance of tackling “big issues,” by making a “statement,” it sadly boils down to lost returns and no measurable impact of the fossil fuel industry or climate change. We need a practical approach to governance in Vermont that puts the taxpayers, retirees, employees and their families first. Vermont's next governor must make Vermont more affordable for families and employers by building out a strong economy and raising wages. Lt. Gov. Scott's position on Vermont Yankee and divestment embody his pragmatic approach to improving Vermont’s business climate and combating income reduction caused by state government. We ask our next governor, whomever he or she may be, to commit to such prosperity-based decision-making and pragmatic, good governance. 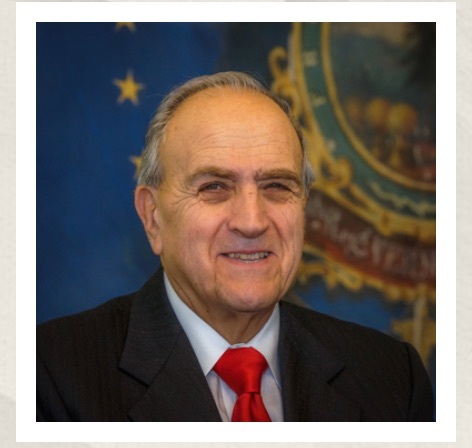 Sen. Mazza represents Colchester and Grand Isle County. 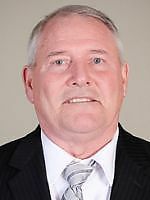 Sen. Starr represents Essex and Orleans County. 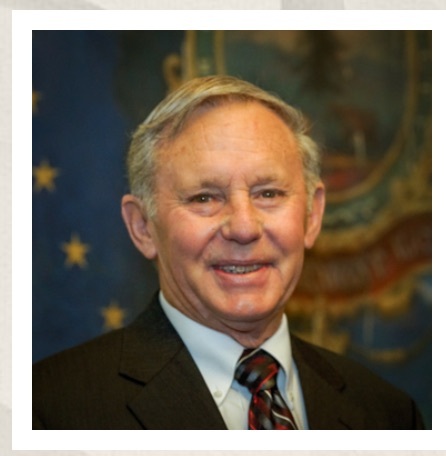 Sen. Flory represents Rutland County. This op-ed has appeared in several newspapers in Vermont, including here in Vermont Business Magazine online. As VermontDigger reports this morning, Governor Shumlin spent the "better part of an hour" pleading with the board that oversees the retirement funds. Shumlin asked them to divest the retirement funds from fossil investments. Shumlin claimed divestment was the board's "moral responsibility." The hearings are Tuesday February 23 and Wednesday February 24. They are listed on the Events page of the Public Service Board. While the hearings are public (people can attend), the public usually cannot speak. To speak at a hearing, you have to have your testimony approved as "relevant" by the Public Service Board. Many factors make up "relevance." For example, following the links within the docket above, you will see that the first "prefiled testimony" under each name is usually a description of the person's qualifications (resume). As you can imagine, the fun begins when the Board rules on whose testimony will be considered relevant to the issue at hand. The Public Service Board cannot rule on nuclear safety matters, but it rules on local issues. “I would like to see them buy a gravel pit across town from the present site and move the spent fuel over to a new site to the gravel pit, and then put the fuel below grade, underground like San Onfre,” he said. Meanwhile, back at the ranch...or rather, back with Vermont Yankee, Martin Cohn of Entergy hosts a TV show on the decommissioning process. Once a month, he interviews someone about the SAFSTOR process, and "SAFSTOR Matters" appears on community TV. As a matter of fact, "SAFSTOR Matters" won Best Series of the Year at Brattleboro Community Television. In the most recent video, Cohn and Joe Lynch of Entergy discuss the status of the decommissioning, including the new fuel pad. Worth watching, for some straightforward, low-key explanations. You can see previous videos in the series at the SAFSTOR Matters page of Brattleboro Community TV. Within the next four years, Entergy has announced that it plans to close two more of its nuclear power plants. James A. Fitzpatrick Nuclear Power Plant in Oswego County, New York, and Pilgrim Nuclear Power Generating Station in Plymouth, Massachusetts, will join Vermont Yankee in Vernon, Vermont, in moving towards decommissioning. Among the challenges Entergy will face is spent fuel storage. According to the U.S. Government Accountability Office, commercial nuclear power production in the U.S. has generated over 70,000 metric tons of spent nuclear fuel—fuel that has been irradiated and removed from nuclear reactors—and the inventory is increasing by about 2,200 metric tons per year. This high-level waste is extremely radioactive and needs to be isolated and shielded to protect human health and the environment. In 1982, Congress passed the Nuclear Waste Policy Act, assigning the federal government’s long-standing responsibility for disposal of spent nuclear fuel to the U.S. Department of Energy. Although the DOE was to begin accepting spent fuel by January 31, 1998, the nation remains without a repository for disposal after spending decades and billions of dollars to research potential sites for permanent disposal, including Yucca Mountain in Nevada. Instead, it is currently being stored primarily at the sites where it was generated. In the absence of a national repository and as spent nuclear fuel continues to accumulate at individual reactor sites, Entergy and other power plant owners have been forced to contend with the continued on-site storage of spent nuclear fuel in spent fuel pools and dry cask storage when the pools’ storage capacity is reached. Spent nuclear fuel usually cools for at least several years in a pool before it is transferred into either a vertical or horizontal dry storage system. The cooled fuel is then loaded into canisters, which are then filled with helium, sealed and tested to confirm that the canister is leak tight in accordance with ASME pressure vessel standards. A loaded canister is transferred from the transfer container into a storage overpack or cask (large steel cylindrical structures) that contains high-density concrete for radiation shielding and ventilation openings for cooling of the canister. The casks are placed on a concrete storage pad that is part of an independent spent fuel storage installation, or ISFSI. The casks are monitored to confirm that the vents at the top and bottom of the outer cask are not blocked so that air can circulate and therefore remove the heat generated by the fuel. At the Vermont Yankee plant, for example, the spent fuel pool began nearing maximum storage capacity in the mid-2000s, and Entergy needed to construct a dry storage facility in order to continue plant operations. Under Vermont state law, the Vermont Public Service Board has the authority to review proposals for the construction of any new spent nuclear fuel storage facilities in the state. This required plant owner Entergy Nuclear Vermont Yankee (ENVY) to apply to the Public Service Board for a Certificate of Public Good (CPG) to construct a dry fuel storage facility at Vermont Yankee. In 2006, after a litigated administrative proceeding, the Vermont Public Service Board issued an order approving ENVY’s petition to construct a dry fuel storage facility at Vermont Yankee. A concrete pad, 76 feet by 132 feet, was subsequently constructed that could accommodate 36 dry casks supplied by Holtec International. Dry loading campaigns occurred in 2008, 2011 and 2012 in which 13 dry casks were placed on the pad. On August 27, 2013, Entergy announced that it would permanently cease operations at Vermont Yankee by the end of 2014. The reactor shutdown occurred on December 29, 2014. By mid-January of 2015, all nuclear fuel was removed from the reactor and placed in the spent fuel pool. 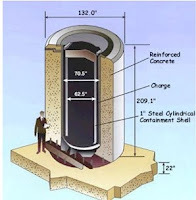 In June, 2014, ENVY filed another petition before the Vermont PSB to construct a second ISFSI storage pad to store the spent nuclear fuel that remained in the VY spent fuel pool. The need for the second pad continues due to the absence of Department of Energy performance in transferring the fuel from VY to a federal repository. Entergy expects to complete transferring fuel from the spent fuel pool to the ISFSI in 2020. Once the final loading campaign has been completed, ENVY expects to reduce the protected area to the area surrounding the two ISFSI pads to reduce the security costs that will be funded from the nuclear decommissioning trust. The proposed second ISFSI storage pad would be 76 feet by 93 feet and built 30 feet immediately to the west of the existing ISFSI storage pad and would continue to use the same system that was previously approved by the PSB for dry cask storage of spent fuel on site. ENVY has asked that the approval of the Certificate of Public Good be granted in May 2016. If this occurs, then construction of the second ISFSI can be completed in 2017 at the same time casks are being loaded on the first ISFSI pad. This will ensure complete transfer of all spent fuel to dry casks by the end of 2020. ENVY is funding the costs for the construction of the second ISFSI pad, procurement of dry storage systems and transfer of the fuel from the spent fuel pool to the ISFSI through two revolving credit facilities totaling approximately $145 million. ENVY plans to repay borrowings on these credit facilities with funds recovered in litigation from the DOE for breach of its contract to remove spent nuclear fuel from the VY Station. Franklin Orr, Under Secretary for Science and Energy, recently wrote, "According to consensus in the scientific community, geological repositories--which would store nuclear material deep within the earth’s surface in safe, scientifically proven locations—represent the safest and most cost-effective method for permanently disposing of spent nuclear fuel and high-level radioactive waste. The first step for commercial spent fuel begins with developing a pilot interim storage facility that will mainly accept used nuclear fuel from reactors that have already been shut down. The purpose of a pilot facility is to begin the process of accepting spent fuel from utilities, while also developing and perfecting protocols and procedures for transportation and storage of nuclear waste. It is our goal that throughout the process of developing a pilot interim facility that the Department of Energy builds trust with all of the local communities involved." Full decommissioning and site restoration of the VY and other shutdown plant sites cannot take place until the used fuel is removed by the DOE. The DOE has collected over $10 billion from nuclear plant owners to construct and operate a spent fuel repository without taking any spent fuel. In 1987, Congress designated Yucca Mountain in Nevada as a national disposal site. Over twenty years later, however, President Obama abandoned the project. It is imperative that Congress acts to find a solution for the used fuel issue because a reactor licensee cannot fully decommission a licensed reactor site until the spent fuel has been removed from the site. In the meantime, Entergy and other plant owners must continue to store the spent fuel on-site in a safe, cost effective manner. Capitol Hill seems very far from New England sometimes, but Congressional actions can have a big effect on people’s lives. Interest groups of all kinds know this, and they arrange visits to Capitol Hill to make their case about many types of issues. The best time to make a case for your particular issue is—in the spring. In the spring, Congressional committees are setting up the planned appropriations in their area. (Spring flowers are also great in Washington.) Visiting Washington can be expensive, but it can also be worthwhile. What would be my area of interest if I were to visit Washington D.C.? I went to graduate school in chemistry, and I am very well aware that graduate studies in the sciences are pretty much funded by the federal government. Basic and much applied research is also funded by the federal government. Appropriations for R and D and education are important to scientists and engineers in many fields. These appropriations are a truly minuscule part of the federal budget, but they are very important to the future of our country as a leader in scientific and technical fields. Our leadership also translates directly into new industries and new jobs in this country. In other words, talking to Congressional committees is worthwhile, for the future of science education, research, nuclear energy and our country. This year, as in other years, a coalition of about two dozen professional scientific and engineering societies and other groups will visit Washington. This initiative is the SET CVD--or Science, Engineering and Technology Congressional Visits Day. The visits this year are scheduled for April 12 and 13. Let’s say you want to be there, and you especially want to talk about nuclear power. Anyone who is interested and able to come to Washington can "be there.” There are a number of ways for nuclear professionals to participate, beyond just appearing. You can be briefed, attend social events, and more. Here’s how it works. If you are a member of one of the societies that participates in SET CVD, you can participate as a member of that society. Please see https://www.setcvd.org/ for a list of participating organizations, as well as for other information about the events, and to register to participate. Participating through SET CVD has many advantages. They have a program of exhibits and some reception/social events. They also provide budget background briefings, tips on meeting with Congressional representatives and staff, assistance setting up meetings, etc. In fact, I have just received a special offer from IEEE-USA, which has expressed a particular interest in enhancing their nuclear message! For people who are not members of any of the SET CVD societies, IEEE-USA would welcome having nuclear folks join their group. IEEE is asking for a modest contribution ($25 to partially cover the lunch and reception expenses). In addition to the lunch and so forth, those opting to join with IEEE can get technical assistance from IEEE-USA. If you join the IEEE-USA group, they will provide you with background materials, packets to use in their meetings, and preparation presentations about meeting with Congressional people and staffers. Can IEEE-USA do this for everyone? It is not clear. It depends on how many people sign up: the slots may fill, but the slots are open now. Sign up fast! He will want your name, voting address, and contact information. You can on visit Congress on the same days as the SET CVD initiative, or, on other dates in the late winter-spring timeframe. People usually target the offices of their own Senators and Congressmen, but if time allows, you may wish to see if you can schedule appointments with other key offices as well. The Center for Nuclear Science and Technology, the ANS Public Information page, the NEI website and the ANS blog at the ANS Nuclear Cafe are all excellent sources of information. Many members of the nuclear community have periodic needs to travel to Washington or to the Washington area, and some employers are even willing to help support such initiatives by their employees. 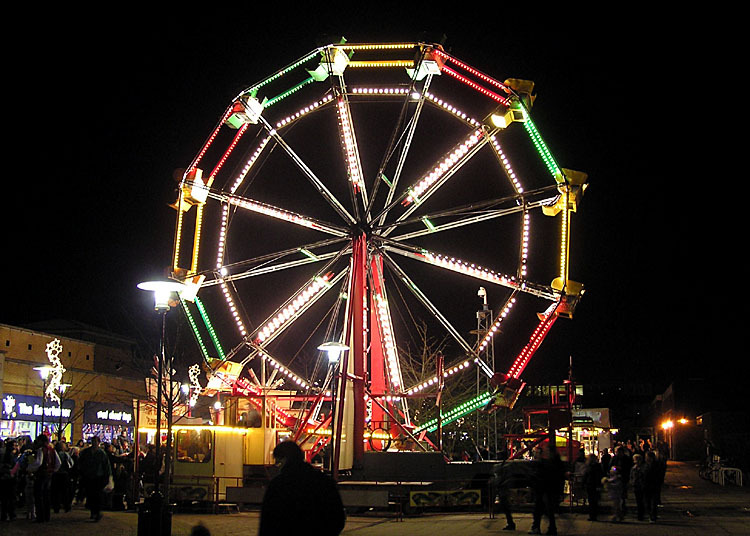 People may be able to schedule a business trip to coincide with the SET CVD dates. Or they may be able to add a day to another business trip or conference in Washington during the late winter-spring time period. For example, the Platts Nuclear Energy conference is on Feb. 16-18. By the way, if you go to such conferences and you know who is usually there, you may be able to partner with other like-minded people when you visit the legislators. Also, this isn’t voting: you can visit Congress as often as you choose. Visit early and often! 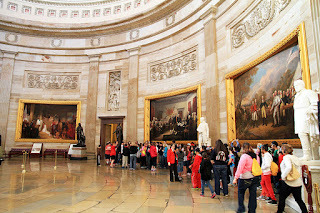 Participating in Congressional visits this spring does not preclude any other participation that may interest you--such as participation in ANS-sponsored visits at other times of the year, or with other groups, or on your own at other times of the year. In fact, the more the nuclear community is able to interact with our elected officials, the better. 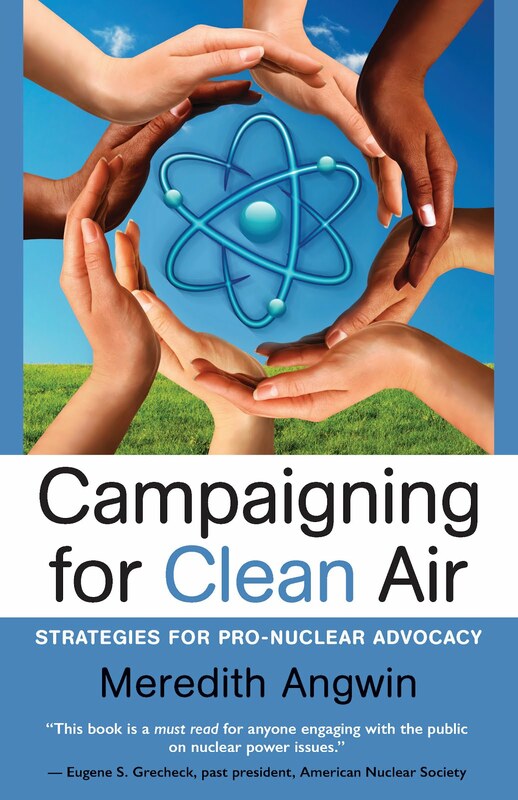 The April 12-13 initiative simply makes sure that the nuclear community has a voice on the Hill during the crucial spring budget season. If you do plan to come to DC for the April 12-13 SET CVD event, please let Meredith know so we can gauge the interest, and possibly facilitate a get-together. She will contact me. Hope to see you in Washington this year! Oddly, that is a cry that nobody is crying, as nuclear plants shut down and gas plants spring up in their absence. When nuclear plants close, natural gas plants take their place. At Northwest Clean Energy blog, I generalized the Vermont Yankee experience of nuclear-to-natural gas by looking at the Western U.S. My post is Reality: Less nuclear means more natural gas. I described the replacement of nuclear-electricity by gas-electricity that happened when San Onofre closed. I look at what would happen if Diablo Canyon or Columbia Generating Station closed. Yeah, you can guess. Nuclear power is (or would be) replaced by natural gas. More carbon dioxide and more air pollution will enter the atmosphere. The final paragraph of that post is: We need to keep Columbia Generating Station and all other sources of low-carbon power. Because if we don’t, despite should’a, would’a, could’a … our current low carbon power will be replaced by natural gas. I hope you will read the post. Since the 2016 session began, Gov. Peter Shumlin has begun calling for state managed funds to divest from coal companies and ExxonMobil stocks. 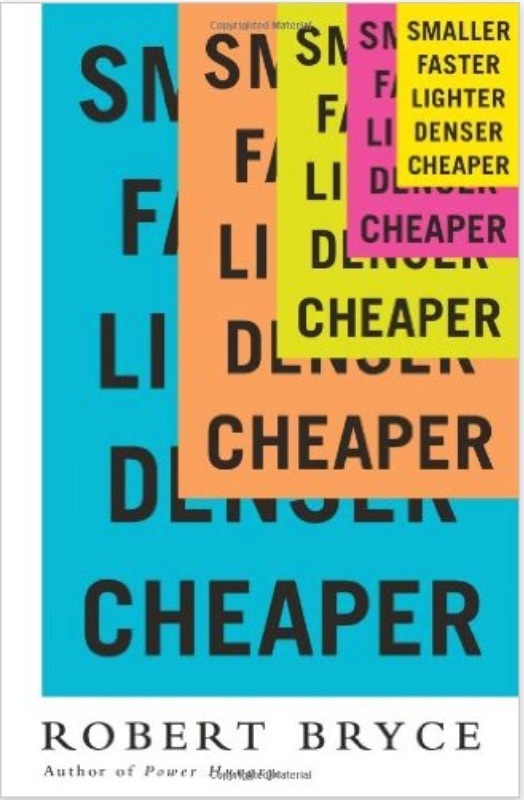 During my career as a consulting economist, I have often been asked to examine the risk of proposed fiscal policy. While the political benefits of divestment may be appealing to some, unfortunately the economic risks could harm the financial security of Vermont’s retirees. Firstly, divestment entails serious and immediate financial consequences for the $4.02 billion Vermont State Pension Fund and its 50,000 public sector beneficiaries. State Treasurer Beth Pearce understands this and has called for “a real assessment of the cost and benefits” of divestment. When the State Treasury studied divestment in November 2014 it found that costs to the state pension funds would include $10 million per year in lost returns and another $8.5 million in implementation fees. Clearly a well-diversified investment portfolio is better for Vermont’s pension beneficiaries. Second, the mission statement of the Vermont Pension Investment Committee (VPIC) is to manage investments for the Vermont public pensions “with integrity, prudence, and skill to meet or exceed the financial objectives of the beneficiaries of the funds.” Given that mission, it would be imprudent, and violate fiduciary responsibility, to risk millions in returns to make a political point about fossil fuel use. In fact, the very reason the VPIC was set up is so that public funds could be stewarded by an independent body, not susceptible to political pressure and whims. It’s clear that divestment makes little sense in terms of dollars and fiduciary duty, but it also fails on the environmental front, which is supposedly Shumlin’s motivation. Selling stock in fossil fuel companies will do nothing to lower greenhouse gas emissions or address climate change. For starters, the handful of energy specific or company specific equities that would be sold off will be immediately bought by other market participants. Additionally, the proposal to divest from fossil fuel stocks takes the very limited view that suppliers of these fuels are to blame for climate change. But what about all of the companies, and individuals, that buy and use fossil fuels to power their production processes or to light their homes? By the logic of those calling for divestment we should also divest from any company that uses fossil fuel. When pressured to divest the University of Vermont, my own alma mater, unanimously rejected divestment and made it clear that it is the university’s fiduciary responsibility to serve its faculty and students and divestment would pose a significant risk to financial returns. As many have pointed out, allowing legislators to insert their political agenda into the state’s retirement fund and use beneficiaries’ dollars to push ulterior motives, whether social or political, sets a bad precedent. Simply put, as Beth Pearce states, legislating divestment and investment decisions is simply not good investment policy. That’s why organizations like the Vermont Troopers’ Association, Vermont Retired State Employees Association (VRSEA), Vermont League of Cities and Towns and the Vermont State Employees Association (VSEA) have all passed resolutions calling for funds to be managed by VPIC in accordance with fiduciary responsibilities, not by the Legislature. For the security and well-being of Vermont’s retirees we need to let our public financial managers do their jobs and not legislate investment decisions. I received this op-ed from Representative Bancroft, whom I have never met. I rarely write about divestment or things of that nature. However, my mother was a school teacher. I do not like the idea that state pension funds are being invested as a set of political statements, instead of being invested solely for the benefit of retirees. I decided to publish this op-ed, because I agree with it. This month the Vermont Public Service Board (PSB) will consider the proposed second dry cask storage pad at Vermont Yankee. This concrete pad would support the remaining reinforced concrete and steel casks containing spent reactor fuel. Vermont Yankee plans to self-finance the $145 million project, and is willing to begin the fuel transfer two years earlier than planned. The pad’s approval was a condition of the 2013 Entergy/State of Vermont Settlement Agreement providing $50 million of redevelopment funds to Vermont. This pad is a very big deal for all concerned. Without it, the decommissioning cannot proceed as planned and recently found acceptable by the USNRC. A PSB denial could conceivably place at risk the Settlement Agreement and all of its benefits. Although Vermont Yankee does not produce electricity anymore, approving this spent fuel storage site is an important next step in the decommissioning process. Ironically, this pad at Vermont Yankee shouldn’t be necessary. Thirty years ago, Congress promised Americans a national spent fuel repository. Billions of dollars have since been collected from the industry, but no repository has been opened. Spent fuel at all U.S. nuclear plants remains onsite. Recently a faint light appeared at the end of this long, dark tunnel. Two high-level nuclear waste storage sites have been proposed in the American southwest. One or both sites could open within 5-10 years, according to State Nuclear Engineer Anthony Leshinskie. This plan merits the support of Vermont’s federal delegation. Meanwhile, the spent fuel storage site should equally be supported by the PSB. The California Energy Commission is asking for comments on its Integrated Energy Policy Report. Somehow, this slipped by me....today is the last day for comments. 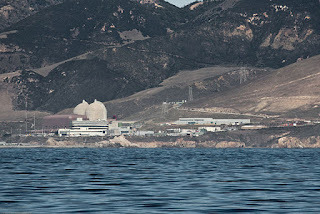 I urge you to comment and to defend Diablo Canyon. Within the link, you can see the whole report. Since this is the last day for comments, I will make your life easier by quoting relevant sections. 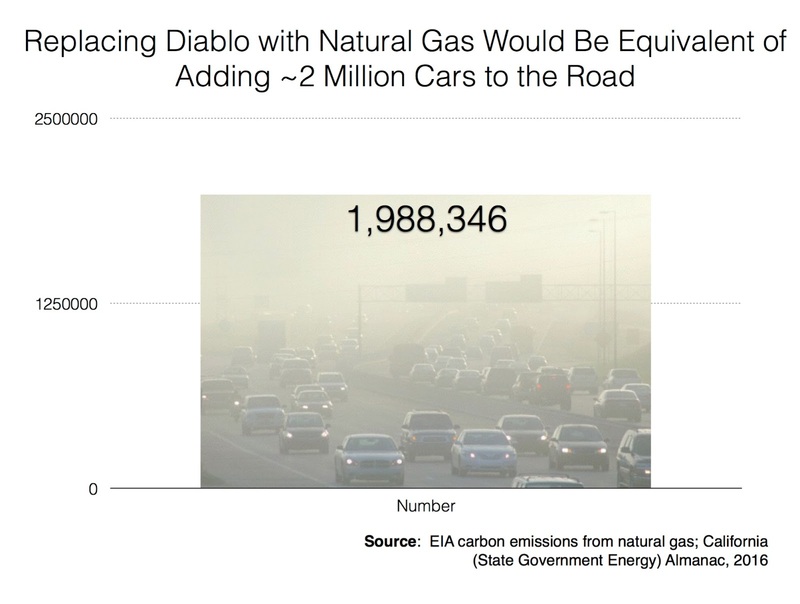 If Diablo Canyon closes, there will be more greenhouse gases in California. Ahem. Do not be intimidated by the depth and quality of this presentation. 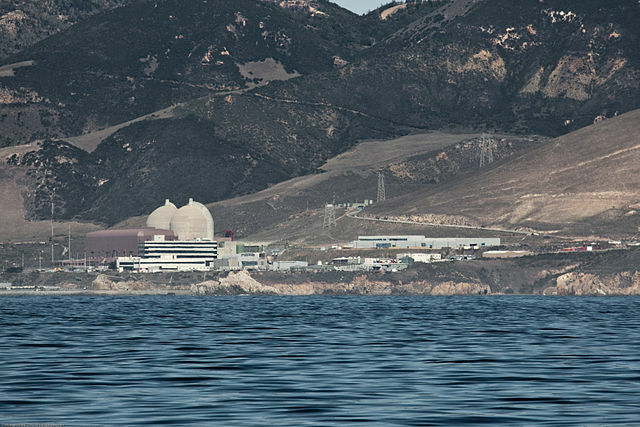 Diablo Canyon needs voices in its favor, and short posts are also important! There are other pro-nuclear comments out there. I encourage you to find posts by Gene Nelson, for example. In a few minutes, my own post should be up. Just get your post out there. Select "Nuclear Power Plants" in the select menu at the right, and go forward. Support Diablo Canyon! Robert Bryce is optimistic about our energy future, and indeed, the future of humanity. His books and op-eds are carefully researched and clearly written. Bryce does not claim that every problem will have a technological fix, but our frequently-successful search for such fixes have led to a world in which more people are living longer and healthier lives. For example, in 1970, the average life span in the least-developed countries was 43 years. In 2011, the average for those same countries was 59 years. Almost everywhere in the world, literacy is up, mortality and maternal mortality is down, and lives are longer and better. In this book, Bryce shows that this happy result is a direct consequence of our human quest to achieve more results while using less resources. 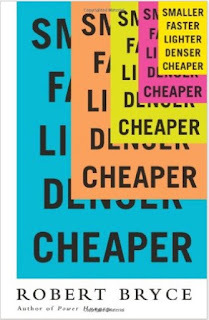 In other words, we seek to do our work in ways that are “Smaller Faster Lighter Denser Cheaper.” His book covers some of the same ground as his earlier book, Power Hungry. In this book, he expands the scope to fields beyond energy. Some of the areas that he describes are familiar to all of us: the fact that computers are smaller is no surprise to anyone. But other aspects of “smaller faster” were new to me. For example, in poor countries, cell phones can encourage commerce. In Africa and Afghanistan, most people do not have bank accounts. The ability to buy goods by cell-phone has increased commerce and partially disabled corruption. (The account is held by the cell phone company, and there are kiosks for people to deposit or withdraw cash.) In one case, Afghan policemen, paid through their cell phones, thought they had gotten a major raise. Actually, the policemen were merely getting their full pay, without their superiors skimming about 30% of their cash payments before the policemen ever saw the money. In expected ways, and in surprising ways, the world of making things smaller, faster, lighter, denser and cheaper has led to unprecedented prosperity and health. For the energy to power this world, Bryce recommends the N2N plan described in Power Hungry: Use natural gas (N) while building advanced nuclear (N). I would amend this slightly to be sure to Keep Existing Nuclear while building advanced nuclear, but his basics are correct. Some parts of the book are painful to read. The title of one section is pretty direct: “Biofuels are a crime against humanity.” Government and academic reports question both the practicality and the morals of biofuel production. Using land for biofuels increases the cost of food, increases the volatility of food prices, decreases the ability of poor nations to import food, and indeed, decreases our ability to feed the poor and hungry. With many examples, Bryce shows that moving to low-density “renewable” energy would be a step backwards for human health and happiness. His analysis of McKibben’s “Energy Starvation” plan is well-referenced and scathing. I hate to say that anything is “required reading” for everyone, but I strongly recommend that people in Vermont read this book. Why Vermont? Well, right now, Vermont has an official state energy plan that claims we will reduce statewide energy use by more than 1/3 by 2050. Further, the state of Vermont “plans” to have 90% of the remaining energy come from renewable sources by 2050. The energy plan admits that renewable sources are not as dense as conventional sources, and that the ridges planned for wind turbines are important wildlife and watershed resources. The Vermont plan is the opposite of N2N. The Vermont plan is not about making things smaller, faster, lighter, cheaper. Will Vermonters allow this plan continue to be our state plan, in which everything is justified on the basis of “low greenhouse gases”? Are we going to use the “Energy Starvation” plan proposed by those who hate nuclear energy (which also produces no greenhouse gases) and who also don’t seem to care very much about wildlife habitat? Or will we take some reasonable version of N2N, choosing dense, relatively low-emissions energy sources. Will Vermont continue to move to Smaller, Faster, Lighter, Denser, Cheaper, as humanity has always aimed to do? Or will we go backwards? It’s up to us, right here in Vermont, to choose a happy and prosperous future. Let’s not mess it up. This review appeared in the February newsletter of the Ethan Allen Institute. While you are looking at the newsletter, let me also recommend Willem Post's article Abandoning Low Cost Hydro for Costly Renewables. Vermont is buying less power from Hydro Quebec, perhaps in the hope of building yet more instate renewables. Let's start with blog posts directly about nuclear energy. Nuclear power is moving forward, world-wide, despite opposition. Takahama unit #3 has restarted, and this has spurred numerous FUD-based press reports. The main reason is the use of MOX fuel bundles in 15% of the core. The postings also focus on allegedly inadequate emergency planning, the lack of a national nuclear waste disposal option, the inference that the only benefit of nukes is making money, and citizens claiming a violation of their human rights. Leading developers and potential customers of small modular reactors (SMR) have formed a consortium, called SMR Smart, to advance the commercialization of the innovative light water reactor designs. Also, developers of advanced nuclear reactors are pleased with their DC summit meeting held last week. Many will be 1400 MW or larger. The Chinese supply chain is well in place. This fuel should increase energy production by 17% in existing reactors. Hopefully, reactor restarts in Japan will ease the problem. But right now it is pretty bad, with 60% of monitoring sites in Japan above the particulate pollution standard. French energy group EDF has postponed giving final approval for construction of the twin 1600 MW Areva EPRs in Somerset, UK. The current cost estimate, which is a work in progress, is pegged at between $18-20 billion. The move to delay the final investment decision is said to have been made as a result of concerns within the French government and by investors about whether the financing was firmly in place for the huge project and whether costs could be contained over a decade long period of construction of the reactors. Next: Can renewables replace fossil fuel and nuclear? Well, no. Here are some posts on that issue. The largest fossil fuel company in the world predicts our energy mix won’t change a whole lot over the next 25 years. In fact, Exxon Mobil projects that oil and gas will actually increase by 2040, even as coal decreases a bit. This unfortunate future stems from the age-old conundrum of trying not to eat sugar when your pockets are full of candy. The Earth has so much fossil fuel, and it has become so cheap to extract it, that it defies logic to think that humans will not keep burning it as their main source of energy. Vermont Yankee and San Onofre closed recently. Natural gas-fired plants took over and made the electricity that replaced the nuclear outputs. Meanwhile, paper after paper, and study after study, trumpet the coming world of renewables. These are just studies. Though renewables maybe would'a, could'a, should'a replaced the closed plants, the reality is that less nuclear means more natural gas. The National Oceanographic and Atmospheric Administration (NOAA) and the Cooperative Institute for Research in Environmental Sciences (CIRES) jointly published a paper about a new model they've created to simulate using weather-dependent energy sources to reduce greenhouse gas production from the US electricity sector. Their scenarios include generous amounts of natural gas, a nationwide HVDC transmission network, and other conditions. Some news outlets have published headlines citing the large reduction without noting the required conditions. Shocking, isn't it? Freeman has been actively doubting the value of nuclear energy since the mid 1970s. He's now in his 90s. Leah Y Parks is a writer who earned an MS in environmental engineering and has some experience in developing water infrastructure projects. 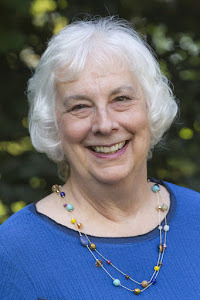 She, like Freeman, believes that wind, solar and water can do it all, even if all energy now supplied by burning fossil fuels is converted to electricity. The conversation is civil, even though the participants have unresolvable disagreements. In this case, strong-arm tactics are being used to promote renewable use, whether people want it or not. Recently, the Vermont Attorney general's office announced that they were investigating Annette Smith for possibly "practicing law without a license." Ms. Smith is a prominent anti-wind advocate. In this guest post, Vermont lawyer Deborah Bucknam explains that the preposterous charge will likely be thrown out. Nevertheless, the charge will hamper free speech and encourage wind developers.